A tiny leaping hare hand cut from thick sterling silver and detailed with a pierced heart. 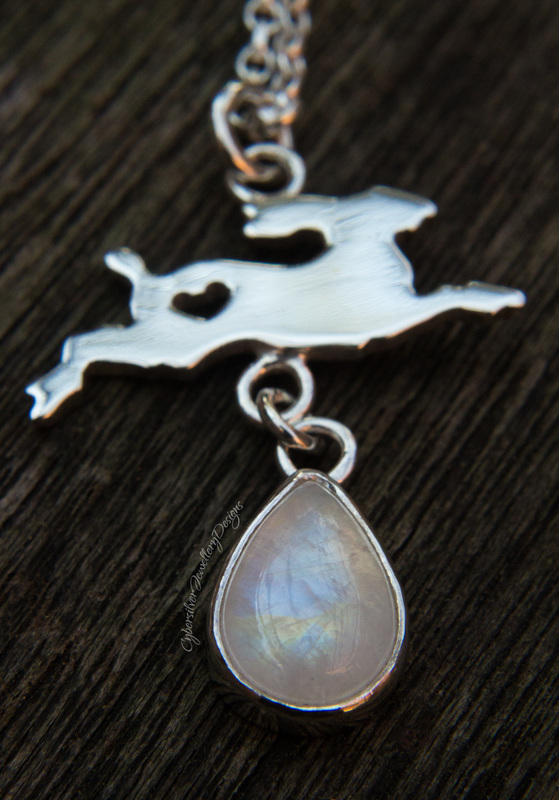 Beneath him hangs a beautiful pear blue moonstone drop in a thick silver setting. 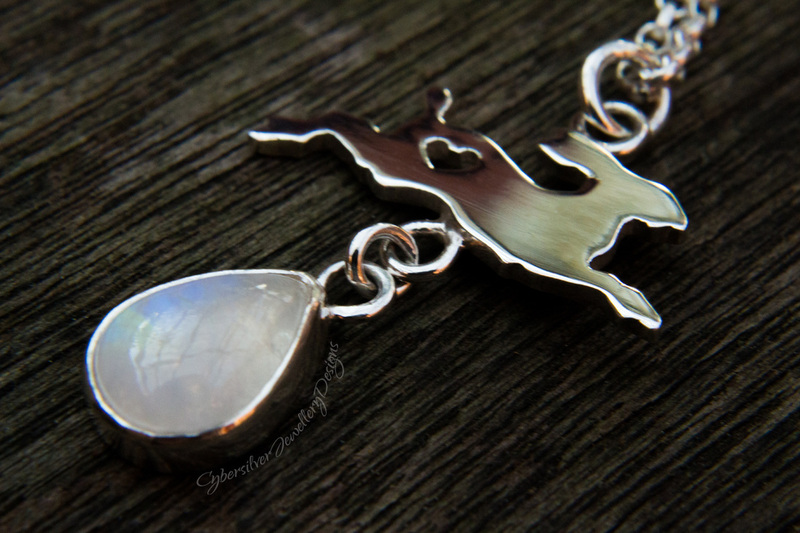 His sterling silver chain is finished with a handmade clasp.